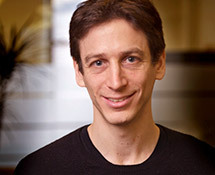 Michael Weiss is a senior research associate at MDRC. He is a quantitative methods expert and has led the impact analyses on several MDRC evaluation projects in postsecondary education, including a multi-site random assignment study of learning communities and a study of the CUNY’s Accelerated Study in Associate Programs (ASAP). Dr. Weiss’s methodological projects include the codevelopment of a conceptual framework for research on impact variation and research on properly analyzing and interpreting results from individually randomized experiments. Dr. Weiss has a PhD in education policy, management, and evaluation from the University of Pennsylvania’s Graduate School of Education. He participates in CAPR’s assessment study.